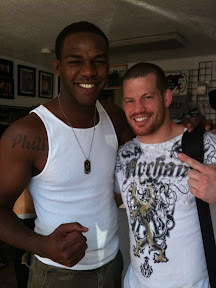 Nate Marquardt: Who looks bigger here? @JonnyBones or me? Haha! This morning we wrestled and grappled. Jardine looks great for his fight.